two social initiatives used to help modify habits. 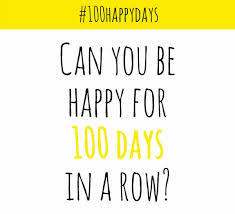 I´m on day 98 of the Global Corporate Challenge and day 100 of my #100happydays and both have been a lot of fun to participate in and have left me with some thoughts I´d like to share. What made me want to share these thoughts was an article I read about an app that pays you to get healthier. The app is called Pact and it´s supposed to help you achieve your goals of a healthier life by giving you cash if you do what you commit too. This got me thinking about the two challenges I am taking and if I would be doing any better if I was receiving financial stimuli. In my personal opinion financial incentives only work for a short period. You need an intrinsic motivation to keep your commitments. 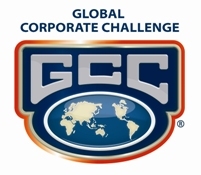 From my experience with the Global Corporate ChallengeI´ve seen that it was fun for me because I already exercise as part of my daily activities and not that I have acquired the habit because of the GCC. I´m a runner so counting the number of steps I take daily was fun and it helped to get me going to my training sessions when the alarm clock rang at 4.50 am. The truth is that counting steps and competing with others in the Global Corporate Challenge was fun and made me start using stairs instead of the elevator to my house which is 7 stories up and down every day. But I admit I´m not going to use the stairs everyday now that the GCC is over, especially because I already exercise. My intrinsic motivation has to do with how I feel when I run and when I don´t. I run because it drives the crazy out of me, it helps me reach a mental state I don´t know how to reach any other way. Running is part of who I am. From my personal experience I think that people who do not exercise regularly can find challenges like the GCC fun for a while but they end up getting tired and quitting. I saw this happening to several of the members of the GCC. When you see the results of steps in many groups you see they started moving a little, and after the first month they remained the same. People got tired; many groups stopped registering their daily steps. I have a friend from a different company who told me he got tired after the first three weeks. He even stopped carrying the Pulse. My conclusion is that unless you already have the habit and discipline, a game is not going to change the way you feel towards exercise. You need something stronger than just an extrinsic motivation. You need to really have the desire to have a healthier life and not just knowing that you should have a healthier life. The #100happydays was different. It doesn´t give you any rewards and nothing happens if you don´t post a happy day but it made me conscientiousof little things in my daily life that are constantly making me happy. Going through my pictures of #100happydays I can easily see that my family and my cats are big of my happiness. Waking up next to my cats, seeing them when I get home after work or just spending my weekend with them makes me happy and these little things are the ones that count and sometimes we take for granted. I was also able to notice that running is one of my happiest moments of the day. Probably I already knew about these, but having to remember to take a picture for my #100happydays made me more aware of small things that surround me. On the website it says that 71% of the people who tried to complete the challenge failed. I think even though they claim a lack of time as the reason not to continue, the real reason is they are not happy therefore finding something each day that makes them happy is time consuming and hard work. So like for exercise, unless there is something deep in your soul that makes you want to do something you are not going to achieve it moved by extrinsic stimulation. Maybe money is a strong motivator but in my opinion it only lasts for a while. At the end either you find that within you had a real reason to commit or you end up quitting. What I´m going to do after these two challenges are over is pay close attention to my behavior to see if I´m taking more steps that I used to before starting the GCC (like keep using the stairs even though I think I´m not) and keep my eyes open for all those happy moments to see which other small things I find that make my life happy. What about you? Do you think money can change habits?